The Avenue of Honour was planted along the Hamilton Highway in the 1920s to honour the men of Penshurst and district who served in World War One. Later plantings were added for those who served in the Second World War. It was a typical response but of interest for being aesthetic rather than the more practical construction of a memorial hall. The memorial plaques associated with each tree have been removed although some survive elsewhere. 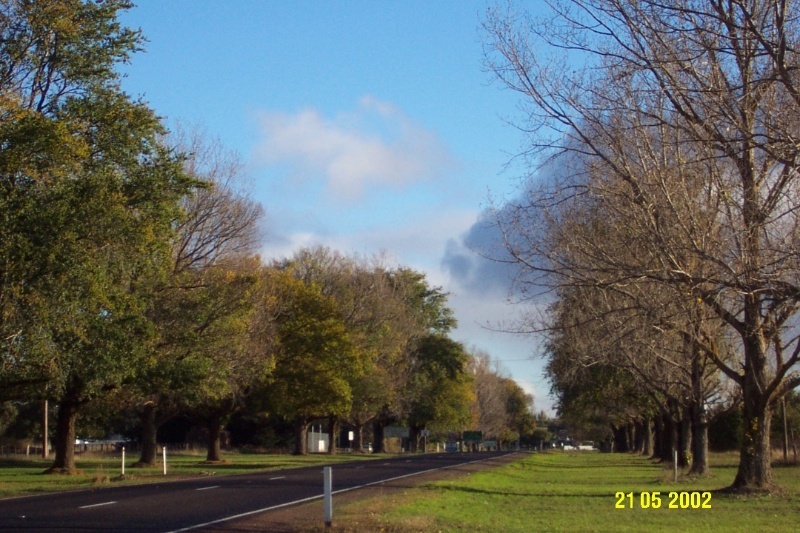 The Avenue of Honour is of historical, social and aesthetic significance to the Southern Grampians Shire and to the district of Penshurst. The Avenue of Honour in Penshurst is of social significance as a living memorial to all who served in World Wars One and Two, including those who died and those who survived. Historically, it marks the loss and horror associated with World Wars and the community's respect and response to this sensibility. It is significant as an aesthetic rather than a pragmatic response. The trees are in good to fair condition. The commemorative plaques have been removed. The Penshurst Avenue of Honour consists of mixed traditional plantings located on either side the Hamilton Highway, the main plantings including London Plan (Platinus x acerfolia), English Oak (Quercus robur), Ulmus procera (English elm), although it appears that random other species have been used to replace these. The avenue has been planted as a living memorial dedicated to the men and women of Shire of Mount Rouse who served in World Wars One and Two. When the avenue was planted, each tree had a brass memorial plaque with the name of a soldier on it. These were removed at some time during the twentieth century.